Freedom Writers coming out with rapid offerings of heatery lately, take in the newest release from Frankie Payne. Vid directed by Big Sproxx. "FP Association preservation is policy, a very important rule second to only honesty, Double Q rated that's Quality and Quantity, created in the basement like I grew it hydroponically". 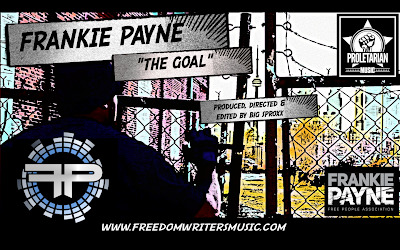 Following the success of the singles "Wake Up", "Arizona Bay" and "For The Change" the Freedom Writers are back at it again with their latest installment "The Goal." The spotlight here is on Toronto, veteran emcee Frankie Payne formally known as Jugganot as he lays down precise flows, street knowledge and a melodic hook which he describes as "Revolutionary Soul" creating the perfect blend of wisdom and grittiness.. 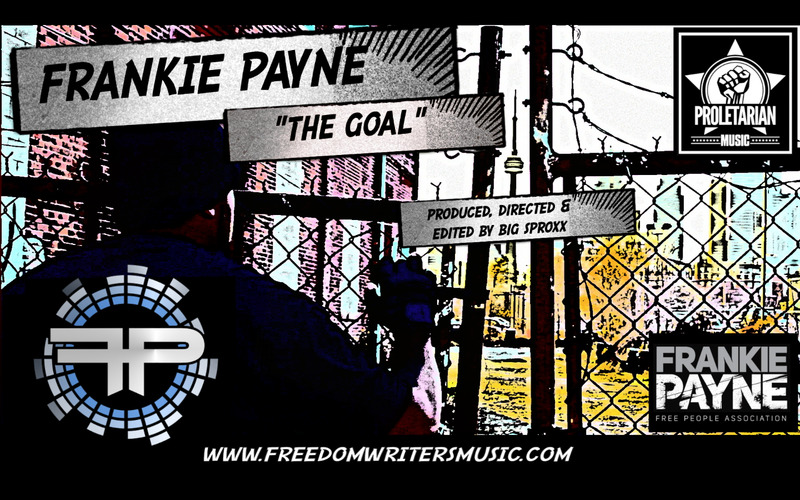 In "The Goal" Frankie takes you on a lyrical journey backed by a two in one powerful, hypnotic composition courtesy of Freedom Writers comrade Big Sproxx who also directed and edited the video. Whether you're working a 9 to 5 or the block, trying to get out debt or jail, WE ALL WANT FREEDOM. In a perfect world we are all free from physical, finical, mental and spiritual oppression, but in this world freedom is "The Goal".